What happens when you take a classic refreshing summer drink like Fresita sparkling strawberry infused wine and add a simple apple cinnamon syrup spiked with vodka? 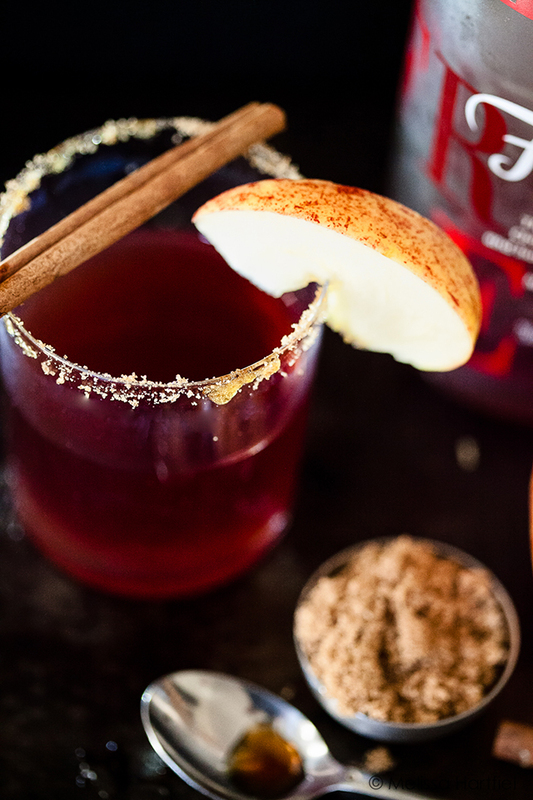 A perfect fall cocktail: the spiced berry apple fizz. Last week I was bemoaning the fact that it felt like I missed summer. I’m still bemoaning it! But I love fall. I think it’s my favourite season. I vacillate between spring and fall – I think I favour whichever one is approaching. I love sweaters and scarves and boots. I love my winter coat. It’s bright red and cheery in a city that’s plagued with winter rains from November to March. I love fall leaves. I love that Sam is a total camo dog when we go for a walk – completely blending in to the yellow leaves that are piled on the sidewalks. 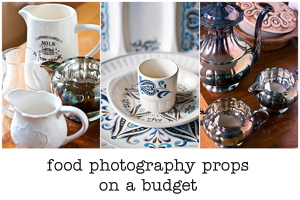 And I love comfort food – soups and stews and casseroles. Apple pie, pumpkin pie, concord grape pie… so much pie! And poached pears! And all the spices I associate with fall and winter: cinnamon, nutmeg, all spice, cardamom, vanilla… all warm and inviting in a hot chai or hot chocolate… or a perfect fall cocktail. 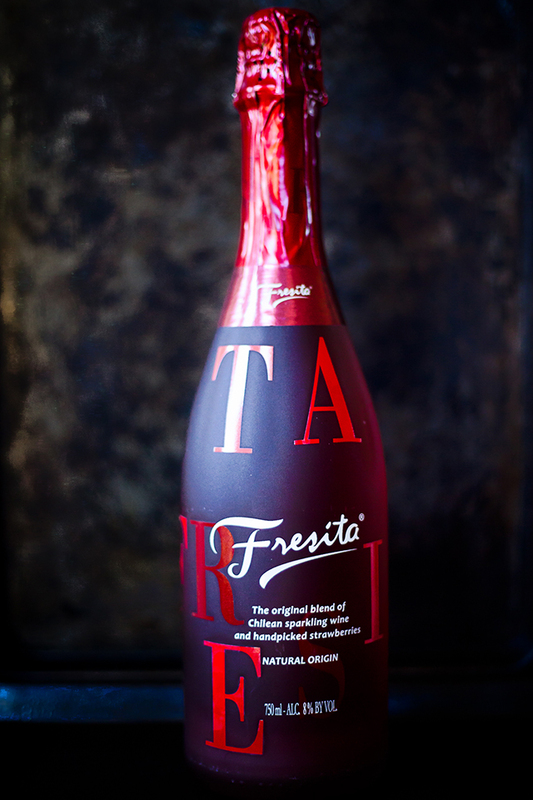 Fresita is a perfect summer drink… sparkling wine blended with strawberries that give it a brilliant red hue. It just looks and sounds like summer in a bottle, doesn’t it? But what to do with it when it’s not summer anymore? It’s time to give it an autumn makeover. 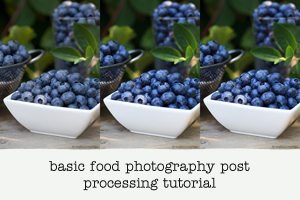 And I can think of no better way than combining it with a classic fall fruit – the apple. Add the comfort of brown sugar, cinnamon and vanilla, and a shot of vodka for good measure, and suddenly that sassy red bottle is showing her fall colours, ready for hanging out with after raking leaves or before Thanksgiving dinner or while while huddling up by a fall bonfire. In fact, it’ll take you from autumn right through the festive winter season. This was a simple idea, really. 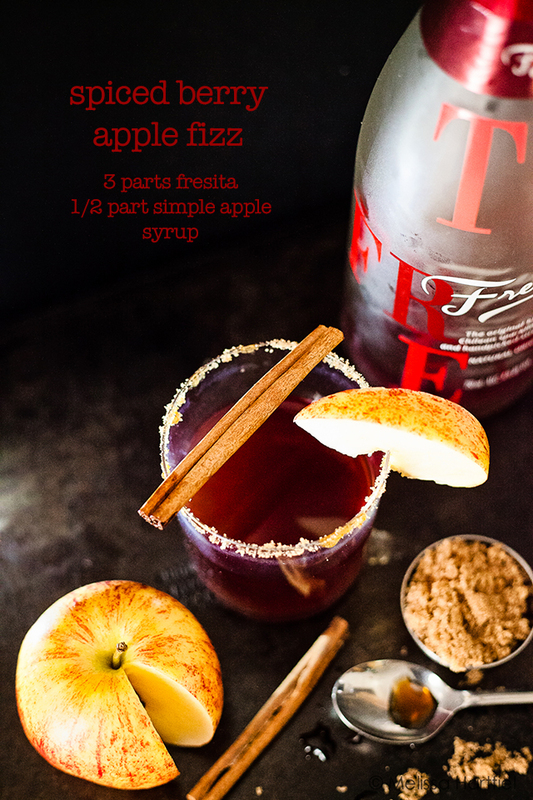 While I was mulling over how to give Fresita a little fall makeover, my friend Laura suggested pairing it with apples or pears. And then it hit me… a simple apple syrup… only made with brown sugar instead of white sugar, with a touch of cinnamon and vanilla. This makes a great cocktail but it would also work well as a self serve pitcher or punch for a larger party. All you need is a bottle of Fresita (I found mine at my local BC Liquor Store – but make sure you look in the sparkling wine section, not the Chile wines like I initially did!) some apples, cinnamon, vanilla, brown sugar and water. Pop the cork on that baby and make yourself one and a few more for some friends. Then wrap up and find a bonfire and enjoy autumn properly! As you’ve all probably noticed, I’ve been a little obsessed with photographing beverages this year. I love the challenge they present. This was a particularly tricky one – the deep red colour of the drink made it tricky against the dark backdrop, which seemed more appropriate to fall. You will never guess how I lit all but one of these photos… with the flashlight on my Blackberry! More on that in a future post but it did the trick far better than a larger light source would have! Disclosure Notice: I was financially compensated and provided with product to create an original recipe for Fresita sparkling wine for the purposes of this post. Gorgeous pictures! I want one! You should come up to the Okanagan and make some. My orchard is positively bursting with fruit this year (thanks to no hailstorms). Perfect cocktail for the upcoming Holiday season! i think it’ll be great for Christmas! Hey Melissa, that’s so cool you used your phone flashlight for illumination on these shots, I would never think of something like that so thank you! And I love apple cocktails. Last year our neighbours created one out of frozen apple cider with whiskey and cayenne which was super tasty and ended up getting replicated by us several times. I like the idea you’ve come up with of blending the flavours of summer with fall. It’s a bit of a sad transition but deserves to be celebrated, so nicely done! thanks Jon! That cider cocktail sounds pretty delicious too – I would not have thought of cayenne and apple but I think it would be pretty good! The blackberry light was a flash of brilliance if I do say so – I was getting a bit desperate with figuring out how to get a very small beam of light just for the drink itself! Beautiful photography and inviting drink! Where’s the party tonight!!!! Oh, I loooove fall too! 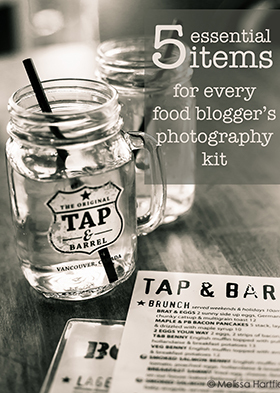 And I love this cocktail idea! Totally perfect for the season. I’m intrigued about the blackberry flashlight lighting. My photography has lately been paralyzed by the lack of light. Please share soon :-). it is on my list of “to do” posts! Whoa, this looks good. I am typically not a fan of booze, but I think I could get behind a cocktail with strawberry-infused wine and syrup. Apple syrup! Yum. 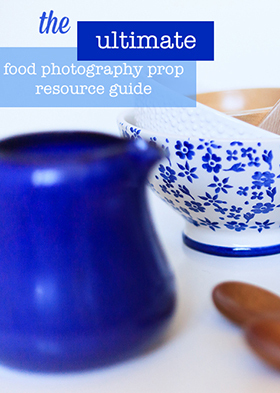 honestly… i just love an excuse to make different simple syrups. they are so ridiculously easy to make and I love playing with the flavours. I’ve only made them with sugar but I’d love to try doing one with honey.. 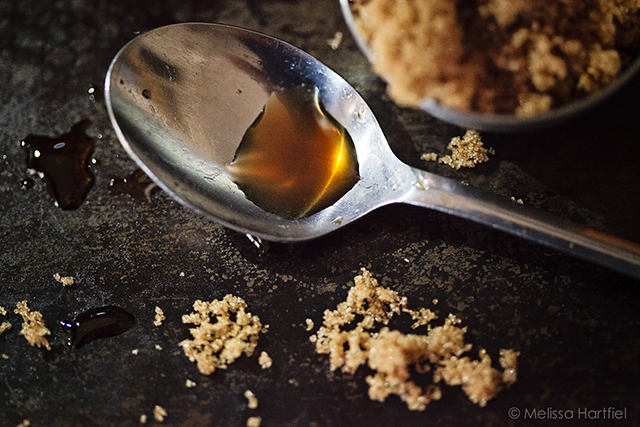 I have made a different recipe of simple syrup and we used it right away. I like the tip to add vodka if I want to keep it in the fridge. That’s a different drink, I love the creativity. Just pinned it! Thanks Helene! I love making simple syrups – – there are so many variations and it’s always good on waffles or pancakes or yogurt or ice cream! Very cool with the blackberry light. I’ll stick that in my back pocket for later! it was definitely a case of inspiration borne out of frustration! That’s an interesting trick with the phone flashlight. I love the dark background of your photos. I think Fresita is pretty new in Canada. But it was great – drank many glasses on the patio! and the one ply kleenex… that’s brilliant. have to try that! Summer is my favourite season but when you talk of Fall as eloquently as you did in this post it almost makes me want to embrace it instead of bemoaning the farewell to summer. Lovely looking cocktail and I agree with Karen, perfect for the holiday season.